Burco is at the forefront of innovation and the Leisure and Catering markets have changed. Burco have launched new models and technology and adapted existing ranges to cope with the high demands of the modern catering industry. From water heating to grills, toasters to specialist ovens, Burco leads the way in professional catering technology. 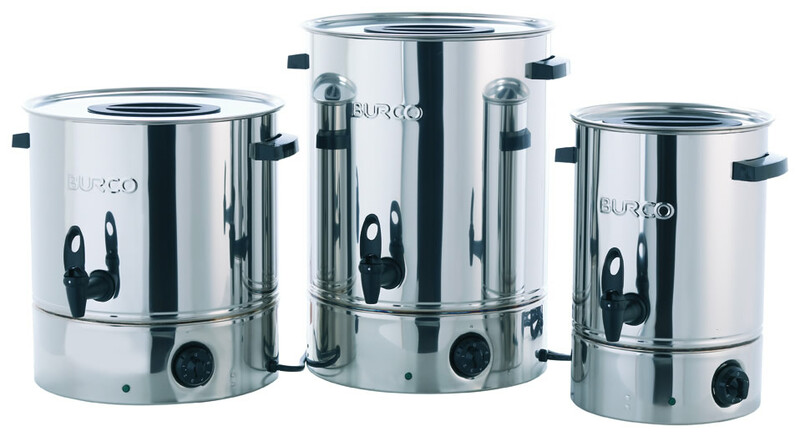 Electraders supply Burco Catering Kettles and Catering Urns.